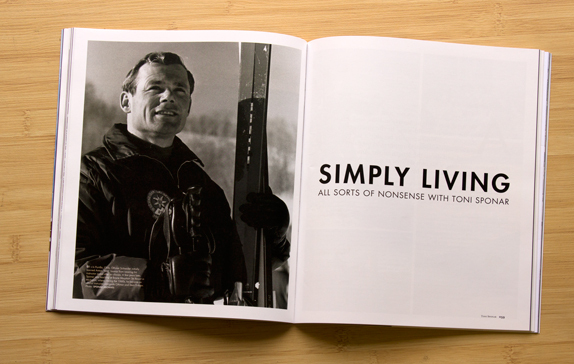 Anton “Toni” Sponar’s perpetual winter didn’t happen intentionally; through a serendipitous series of events, the Austrian found himself instructing under the tutelage of Olympic gold medalist Othmar Schneider, traveling the length of South America by train, boat and truck, teaching ski schools on three continents, starting multiple ski areas and eventually owning one himself. Now at age 81, he shows no signs of slowing down. Simple living with Toni Sponar. Anton “Toni” Sponar, owner and founder of Chile’s Ski Arpa, was born in Austria in 1934, and was skiing by the time he could walk. In the eight decades since, he unintentionally became a ski instructor, worked with Austrian Olympic gold medalist Othmar Schneider, boated and drove the length of the Americas, sailed the Amazon, and started his own ski area at age 50. Now, at 81, he still offers private ski lessons at his home resort of Aspen, CO.